Vacation time isn’t something many people have tons of. In fact, most people will say they don’t have nearly enough time off from work and the stresses of daily life. That’s why when they do go away, they want to make the most of it. For folks headed to sunny Southwest Florida, there’s a whole host of options to keep members of the whole family entertained and happy. 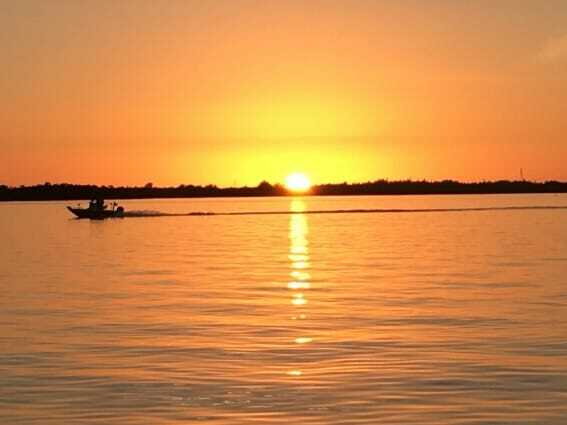 Here are some great ways to spend a few perfect days in Southwest Florida. If your lodging options are not great, your vacation can often be lacking as well. You spend a decent amount of time at your home base, so selecting a place that knows families, understands that your vacation time is precious, and works hard to make sure you are comfortable and well taken care of is a huge advantage. 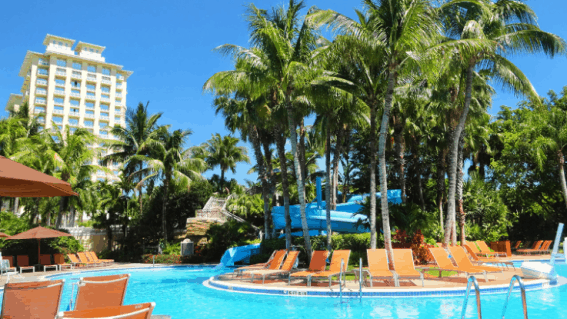 That’s where the Hyatt Regency Coconut Point Resort & Spa in Bonita Springs comes into play. This resort is a terrific option for families looking to get away from it all. While some guests come to this resort to relax by the pool all day, the Hyatt also recognizes that this is not everyone’s travel style and offers up plenty of other on-site activities. If you’ve got kids that are big fans of swimming, splashing, careening down water slides, tubing, water sports, fishing, or boating, you’ll be happy to know that you can indulge all of their wet and wilds adventures at the resort. Recently renovated, the resort now has a water park complete with three slides and a lazy river for everyone to enjoy. These slides are not just for the kids- indulge in some fun! Expert tip: Be sure try the one that requires a tube and plunks you out in the lazy river. The resort also partners with AWE (All Water Excursions) to offer options such as jet ski tours, kayak rentals, boating, fishing, canoeing, and other water-based activities. These trips can be arranged through the concierge and many take place at the back of the resort for added convenience. These activities are a great way to stay active and have some fun at the same time. For those looking to see more of the area yet still remain on the water, Southern Instinct Charters are a great option to consider. Captain Ryan Kane can take your family (or other small group) on a sightseeing tour, shelling excursion, fishing trip, or other water activity. The service is personal and can be tailored to your groups preferences, resulting in ideal way to plan a day on the water for those with kids of varying ages. On-site activities are plentiful at this palm tree-studded resort so there’s sure to be something for everyone. Like the beach? They’ve got one and it’s private and perfect. Hop on the resort’s free boat shuttle at the marina and off you go for a short, scenic ride to their private island where you’ll be able to take in the sun, sand, and surf while discovering plenty of beautiful shells to collect. Kids can be a part of the fun at the kid’s club where they will enjoy time with others their age for a little while. Parents may want to schedule time at Stillwater Spa, highly ranked by Conde Nast, to enjoy some pampering and polishing. There are also plenty of pools, a 24-hour fitness center, bicycle and kayak rentals, lawn games, pool toys available for rent, a video arcade, chipping and putting greens, an 18-hole golf course, clay tennis courts, a rock climbing wall, fire pits at night with s’more kits available for purchase, and a gift shop. Part of the fun of a vacation is treating yourself to good food that you haven’t had to cook yourself. When you stay at the Hyatt Regency Coconut Point, you’ve got choices. 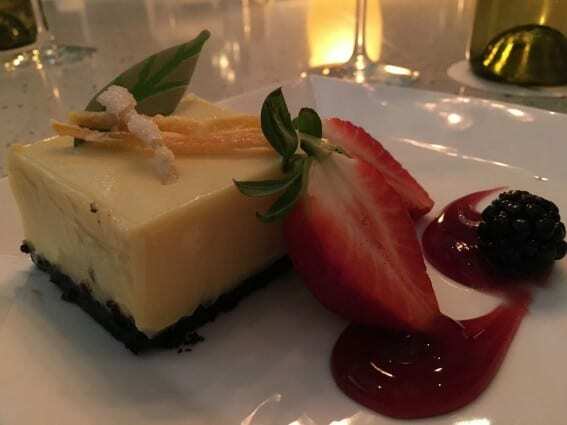 Whether you’re feeling in the mood for a burger, an upscale fish dish, something in the pasta family, or just a light bite, the resort offers a variety of places to get just what you’re looking for. There’s no need to dress to impress here- your casual attire is perfectly acceptable. Should you want to remain on site for your entire stay, you’re able to eat breakfast, lunch, snacks, dinners and even enjoy late night bites courtesy of room service. Several other dining options in town are just a short car or taxi ride away should you decide to venture off of the resort property at some point. Disclosure: I was provided a complimentary stay, tour and admission to various activities as part of a press tour in order to facilitate this review. The opinions stated herein, however, are entirely my own. Photos by Sharon Rigney unless otherwise noted.